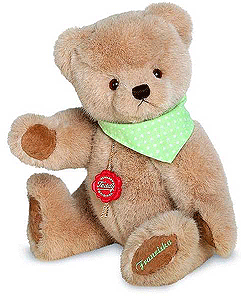 Teddy Hermann Franziska Cuddly Teddy Bear. This wonderful item by Hermann Teddy Original, is made of the finest soft beige Woven Plush. 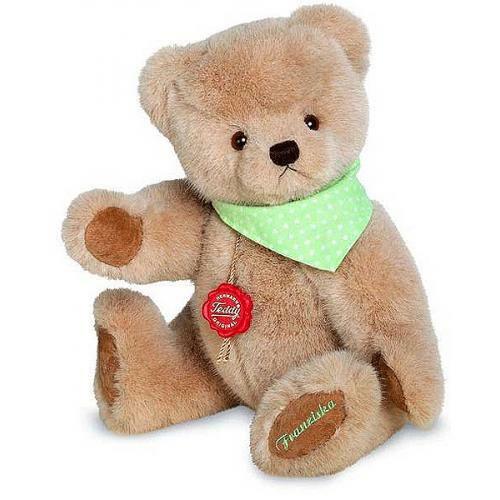 Create a unique gift by personalising this wonderful teddy bear. Personalised items are special order and will be charged immediately. Non Returnable. PLEASE ALLOW 4 WEEKS FOR DELIVERY! Product details: Item number 182061, safety eyes, synthetic filling material, non growler, Surface washable only, size 28cm (11 inches).